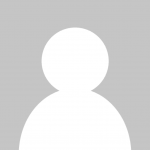 Tagged: Whiskybase and Whiskystats not similar CSV.. This topic contains 2 replies, has 2 voices, and was last updated by Whiskystats 2 months, 2 weeks ago. 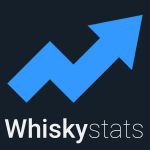 The thing is that there is no 1to1 matching between the whiskies listed on Whiskybase and those listed on Whiskystats (because they differ some bottling versions we do not, or vice-versa). However, we created the possibility to import a collection from a csv file (see instructions here ). So you could download your collection as a csv from Whiskybase, adapt that csv according to the instructions and then upload it to Whiskystats. Note that we will ad blends to our database very soon. So you may want to upload your blends later as soon as we start tracking them. Also note that if you use the Excel-Template the distillery/brand and bottler columns are already validated in the Excel. You then simply have to save that Excel data to a csv to then upload your collection.